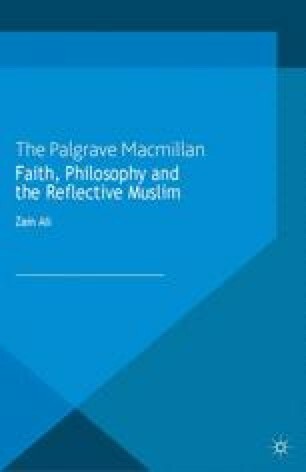 The aim of this chapter is to consider an alternative reading of al-Ghazālī’s narrative and enlightenment experience. Our reason for seeking an alternative reading is motivated by the weaknesses of the Sufi account which were highlighted in the previous chapter. To recall, there were three significant deficiencies associated with al-Ghazālī’s Sufi account. The first deficiency relates to the concern that al-Ghazālī’s account is susceptible to the arguments which he employed against sense perception and reason; that is, there exists a supra-intellectual faculty which must be given epistemic priority. If such a mode of perception did exist, then the deliverances of sense perception and reason could be open to reinterpretation. The problem with this view was that it did not rule out a supra-supra-intellectual perceptual faculty, which, if it were to exist, would take epistemic priority. Accordingly, the deliverances of the supra-intellectual faculty, if such a faculty indeed were to exist, need not be seen as a mode of perception that is wholly immune to doubt. The second deficiency arose from al-Ghazâlï’s concession that the feeling of certainty can be decoupled from the truth of a belief. As a consequence, al-Ghazālī’s Sufi account is also undermined, since the Sufi account is said to secure certainty. If, however, al-Ghazālī’s is correct, then the feeling of certainty does not guarantee that the belief, or experience, is aligned with truth. At the root of great awakening is great doubt.